Lauren's Boookshelf: Owlcrate Unboxing: Writer's Block! AND IT WAS EPIC! 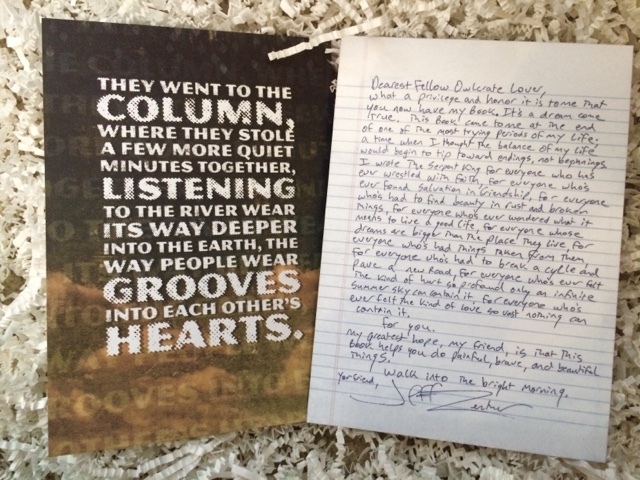 Let's talk about what was inside! This is what it looked like when you first opened it. 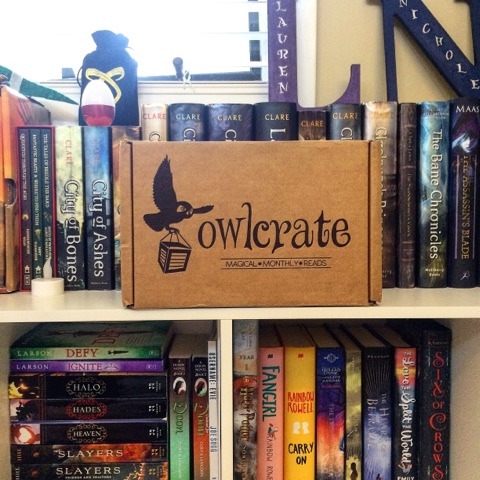 One of my favorite parts of this month's card was that the books on the edge of the desk are books that have been in past Owlcrate boxes! 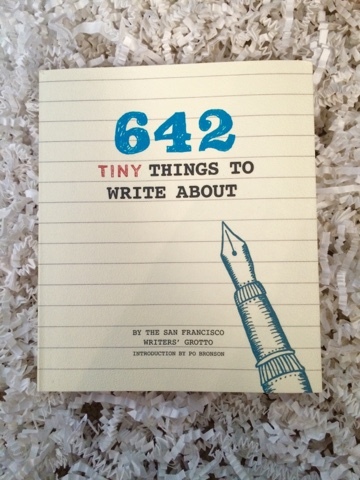 First thing under all of the white snakes was this little pocket writing prompt notebook from Chronicle Books I flipped through it and it has a bunch of little writing prompts and activities to get your writing juices flowing. It's pretty cool! Then we had these amazing Banned Books high socks from Out of Print! They're so amazing that I'm wearing them right now! I saw this quill pen from Kikkerland and freaked out! 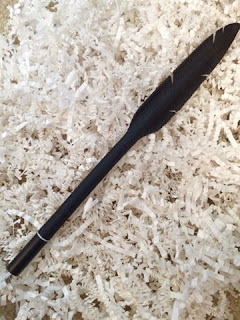 I love quills but I don't want to but it and buy ink and possibly spill it everywhere, so this is perfect. I can see myself now: sitting in class taking notes and everyone giving me weird looks...ah. 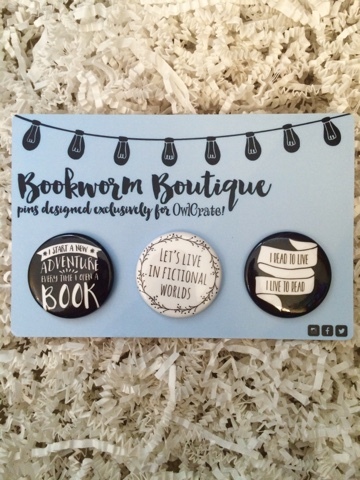 Up next we had these AMAZING custom pack of bookish themed pins from Bookworm Boutique. 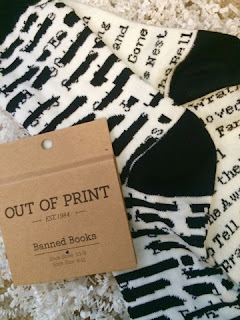 I love Bookworm Boutique and they're actually in my top bookish shops of 2015 post. 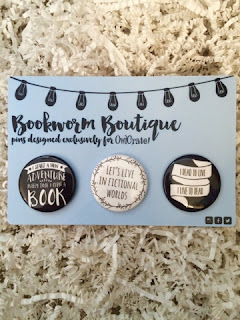 I freaked out when I saw these because I love bookish pins so much! The book this month was The Serpent King by Jeff Zentner. 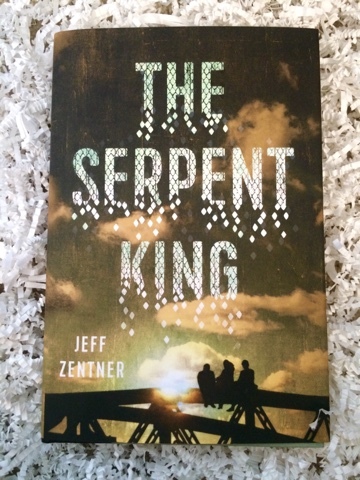 I've heard good reviews for this book and it looks pretty good so I'm excited to jump right into it! 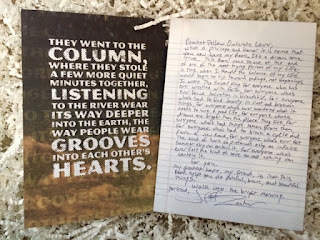 With the book, we also got a 'column' postcard (something to do with the book) and a letter from the author, Jeff, himself! How cool! 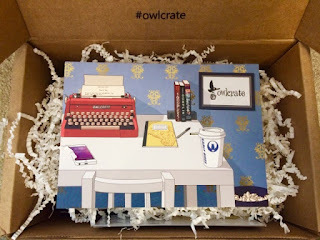 And of course, on the back of the themed postcard we had the contents of this month's box. 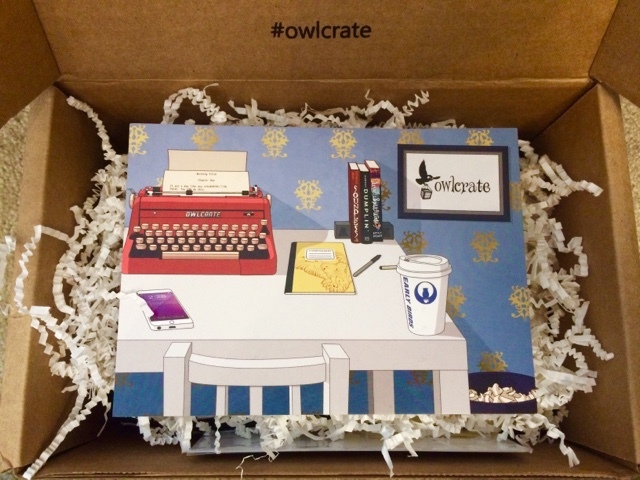 I am very happy with this month's Owlcrate box! 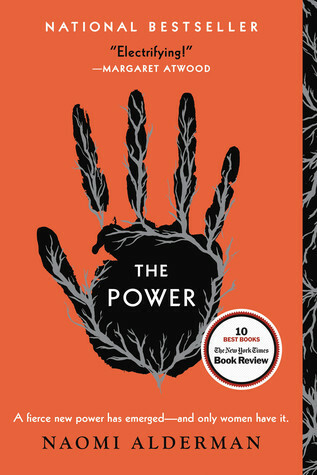 I enjoyed the February one but this one just BLEW ME AWAY! I'm very excited for next month. 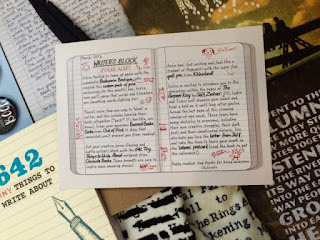 April's theme is: DYSTOPIA.